Hulu has set a Friday, July 26th premiere date for the Veronica Mars revival. As the show is debuting on a Friday, it’s likely to be a binge release vs. the weekly releases that Hulu tends to corral on Wednesdays. 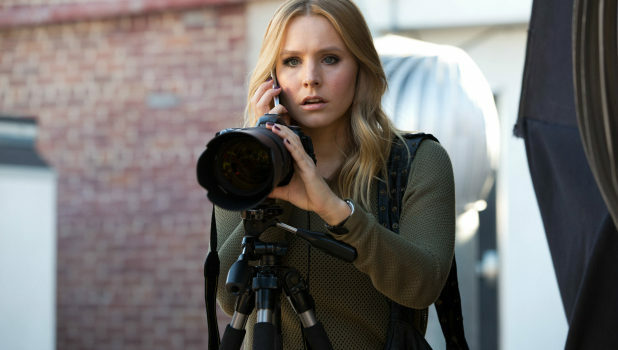 The Veronica Mars revival, which comes 12 years following its third season finale and five years after its crowdfunded feature film, finds Mars Investigations being hired by the parents of a murdered spring breaker to find their son’s killer. The season will pit the Neptune wealthy elites, who would rather put an end to spring break altogether despite what it could do to the town’s tourism industry, against a working class that relies on the cash influx that comes with being the West Coast’s answer to Daytona Beach. Aside from star Kristen Bell, set to return are Enrico Colantoni, Francis Capra, Jason Dohring, Percy Daggs III, and Ryan Hansen. Veronica Mars joins a summer slate for Hulu that includes the third season of well-received period drama Harlots.